When I wrote the story last week of H. Moser & Cie’s upcoming new Smart Watch, I did not know what to expect. Today, pictures have been released, and even a tongue in cheek video to explain that the Smart Watch in question, is no Smart Watch of the electronic variety. Instead we have an honest to goodness, mechanical and quite stunning perpetual calendar (or an original Smart Watch), something that is throughly in line with what we’ve come to expect from the brand. Here it is, the Endeavour Perpetual Calendar Funky Blue, a watch that we’ve seen before, but this time dressed in quite modern colours, a departure from the more genteel and classical feel of the original versions. 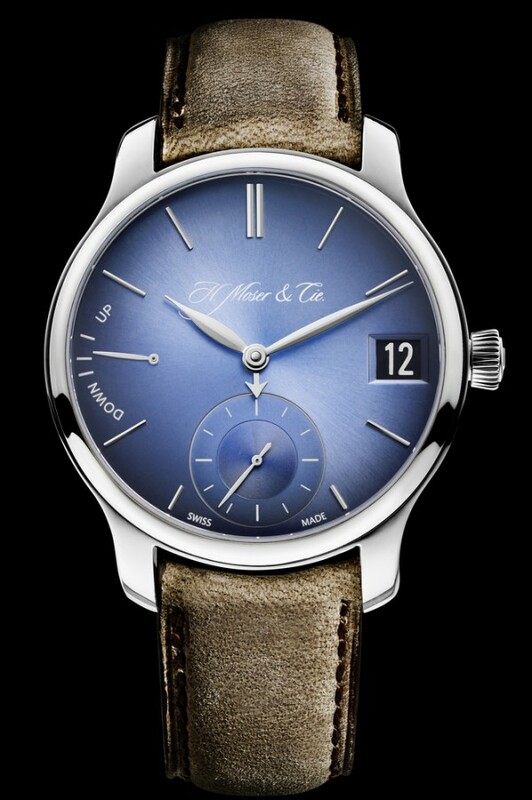 The fumé dials of H. Moser & Cie. are well known, and this interpretation is an energetic sky-blue, paired with a kudu leather strap for a rustic appearance. So, let’s be clear in case you’re looking too closely at the picture above for your own good, there is no battery, no motion sensor, no fitness tracker, nor an app to pair with a smartphone. Instead, this is an honest to goodness mechanical watch, and really, I should have seen the joke coming. In fact, I felt some measure of relief on seeing this watch released in this way by H. Moser for two reasons. The first was a fear of what abomination could result when a high-end luxury brand like H. Moser & Cie decides to dabble in the world of electronics, a place where they decidedly do not belong. 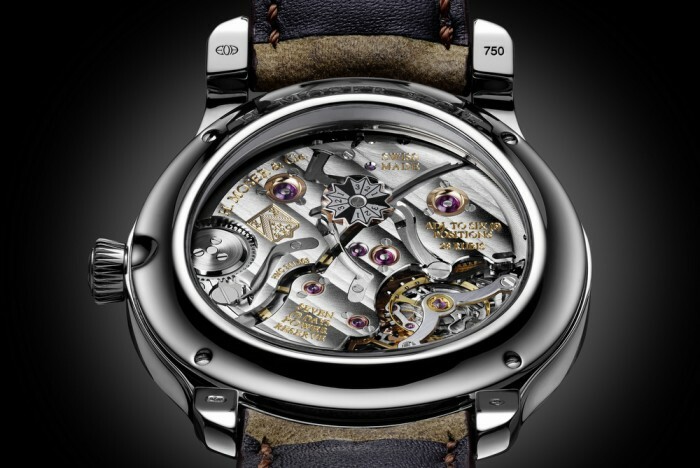 Certainly we have to realize that our love for the purely mechanical watch stems mainly from emotional reasons, and there are limits to what we can accept even when we benefit everyday from the fruits of our technological age. 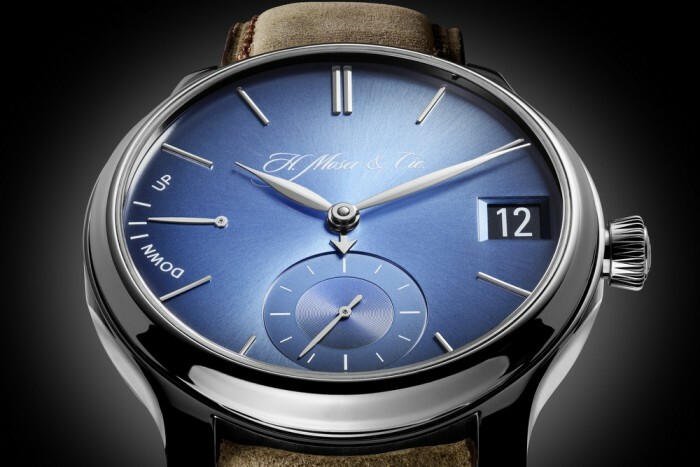 I had even imagined in this alternative reality, how the pre-announced Smartwatch from H. Moser & Cie could go so far as to introduce perlage and guilloché on batteries! (horror of horrors!) Thankfully, and kudos to their good judgement, my nightmares have not come to pass. The second reason for my relief comes from seeing how this latest campaign is evidence of how H. Moser & Cie have really stepped up on their marketing and communications ever since Edouard Meylan become CEO barely 2 years ago. Indeed when I first met Edouard in 2013, I noted how passionately energetic he was and listened with great interest as he extolled on the many things he would do to revive the fortunes of this storied brand. First we had the refreshed advertising campaign, introducing a new tagline “Very Rare Watches”, then he made a very strident outburst when the cap on the Swiss Franc was suddenly removed, and now with their version of the Smart Watch, they have shown a truly great example of disruptive marketing. 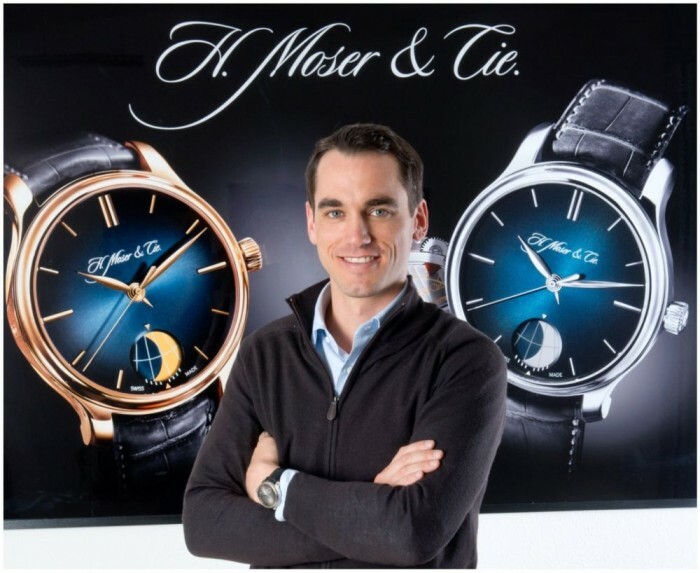 It’s nice to see H. Moser and Cie being a little more playful with their identity, and having a little more fun in speaking to their customers. This certainly comes across as a refreshing break from the rather more traditional way that other watch brands communicate. Perhaps they’ve taken a page out of furniture manufacturer IKEA’s book, who created an ad that shares some of the same spirit. It’s certainly a very memorable form of communicating, and I’ll remember this H.Moser’s video for a long time. In the meantime, I look forward to seeing H.Moser’s “Smart Watch” this coming Basel, but really for all intents and purposes, the big story here is that, despite the impending advance of the Smart Watch in the Swiss watch industry, there is still nothing else that can beat the emotional appeal of the mechanical watch. Clearly, as H. Moser is saying, while the electronic Smartwatch is great and all, when it comes to the heart, we still love our mechanicals much more.